Lone Star Vineyard has three separate blocks of Riesling totaling just under 7 acres of fruit, which amounts to less than 2% of our overall farming. Winemaking and blending is all about creating options and tools, so we have taken these three tiny blocks and cut them up into both stainless steel and neutral oak fermentations to give us more tools to play with. The stainless versions are left with a hint of residual sugar, which emphasize fresh, pure, round fruit while the neutral oak barrels are taken bone dry to bring the dichotomic elements of both mineral edge and subtle, creamy texture. 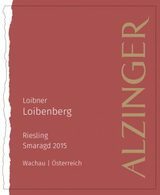 The blending between these two styles across the three blocks of Riesling create an excitement and energy in the salvaries. Heavenly white nectarine, lime blossom, and silvery minerality. Break out the Costillas de Puerco! Light and sleek, with pretty pear, white peach and lime flavors that come together harmoniously, lingering on the finish. Drink now through 2023. 1,300 cases made. The 2013 Nuthouse Riesling is raised in 70% stainless steel and 30% neutral oak (the residual sugar is eight grams per liter). This offers more varietal character than the Spirithouse Riesling: apple blossom, freshly sliced pear and cold limestone scents emerging with time. The palate is well balanced with fresh acidity, crisp and lively with fresh honeydew grapefruit, a touch of quince and citrus peel towards the finish. Enjoy this over the next 5-7 years.